It's common for kids in the U.S. to get infected with enteroviruses in the summer and fall, says Dr. Nipunie Rajapakse, a pediatric infectious diseases specialist at Mayo Clinic. Enteroviruses is a virus that can cause an infection similar to the common cold and, in some cases, it can cause serious breathing problems. The Centers for Disease Control and Prevention says millions of children have coughing, sneezing and fever symptoms from enteroviruses each year. 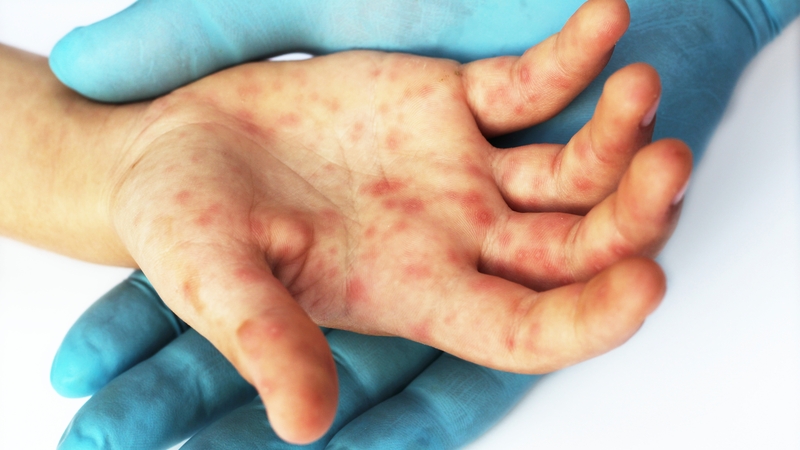 "It is the same family of viruses that causes hand, foot and mouth disease, but in certain people, can cause more severe infections, including some infections that can affect the brain or spinal cord," says Dr. Rajapakse. Watch: Dr. Nipunie Rajapakse talks about enteroviruses. Enteroviruses are transmitted a few ways, including person to person, or when an infected person coughs, sneezes or touches a surface that is then touched by other, says Dr. Rajapakse. There are no specific treatments for enteroviruses. "Antibiotics will not help you recover from an enteroviral infection. In fact, they could cause harm in people who take them, especially unnecessarily," says Dr. Rajapakse. Enterovirus D68, a virus with symptoms similar to a common cold, may cause mild to severe respiratory illness. Children with asthma are particularly at risk to have serious breathing problems. Practicing good hand hygiene is one of the best ways to prevent illness and stay healthy. Parents are encouraged to teach their children to wash their hands often with warm, soapy water for 20 seconds and lead by example. Mayo Clinic Minute: Why parents need to school their kids on hand hygiene. Is taking a daily aspirin really necessary?